Back in the 19th century, Sherlock Holmes’ ability to notice and analyse the smallest clues arguably made him the first well known forensic investigator. He was in fact based on Dr Joseph Bell, a forensic scientist from Edinburgh under whom Conan Doyle (the author of the books) studied. That legacy of scientific rigour and meticulousness continues today as demonstrated by the Burgoynes’ investigators. One perfect example of this attention to detail can be seen in a case that involved extensive litigation, but finally hinged around a clothing label spotted by one of Burgoynes’ partners, John Fuller. The Whitefriars fire (which even sounds like a possible Sherlock Holmes’ story) is better known in the Insurance Industry as Yeganeh -v- Zurich Insurance Company. 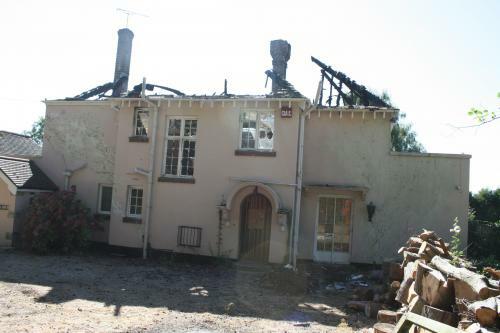 In short, Whitefriars, a detached home in large grounds, was extensively damaged by fire on the 14th September 2007. The property was owned by a developer and was reportedly being decorated at the time of the fire, with a large pile of clothing covered with a dust sheet being present on the bed in the main bedroom. The cause of the fire was initially believed to be a radiant halogen heater positioned adjacent to waste paper and decorating materials but after exhaustive tests the only likely explanation of the cause seemed to be deliberate ignition. 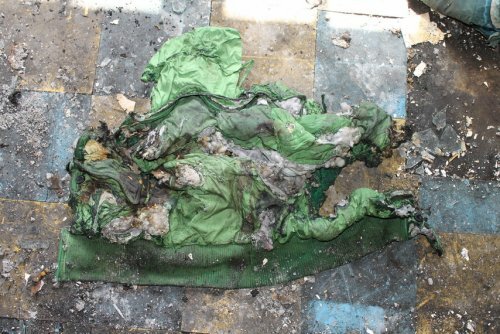 At the end of 2007 Zurich contacted Mr Fuller to advise that the Insured had submitted a substantial contents claim that included a large number of designer suits and shoes, all allegedly destroyed whilst under the dust sheet on the bed. Mr Fuller was asked to return to the scene and attempt to verify the claim. On re-inspection of the property Mr Fuller did not find any evidence of the designer clothing apparently destroyed, and copious photographs were taken of the scene. Zurich refused to indemnify the claimant on the basis that the fire had been started deliberately and the contents claim had been grossly exaggerated. Mr Yeganeh sued. A visit to the property by the other forensic expert that apparently uncovered substantial amounts of clothing not previously seen in the main bedroom. Tenuous evidence of how the heater might have turned itself on. An explanation for the clothing not being found on the bed – namely that the clothing was dispersed by the firemen’s hoses. 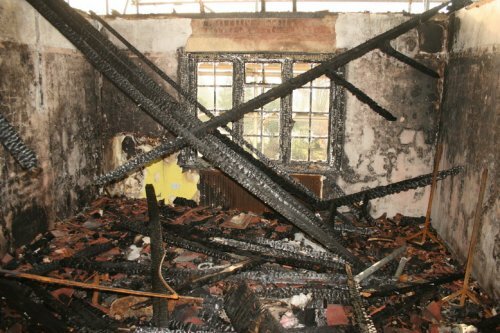 At the original trial, the Judge was not persuaded by this evidence and preferred Burgoynes' conclusions although the Judge ruled that as Insurers had not shown a motive, the high burden of proof required for arson had not been satisfied. Nonetheless, the Judge ruled that the additional items of clothing had been planted in which case the contents’ claim was fraudulent and as a matter of law the entire claim failed. However this was not the end of the story. Mr Yeganeh appealed and the Appeal Court judges ordered a retrial, with an instruction to attempt to mediate the claim. Zurich were obviously disappointed by the Appeal Court ruling, however they decided to progress the case. To this end, with Zurich’s agreement, Mr Fuller reconstructed the main bedroom at BRE Global and carried out fire tests on a representative pile of clothing placed on the bed in the room. The tests clearly showed that the clothing would have largely survived the fire and would not have been moved by jets of water from the fire hoses. Finally, just a few days before the mediation was due to begin Mr Fuller was allowed to return to Whitefriars to examine the additional clothes that were apparently still present at the scene and this visit proved to be pivotal to the case. Amongst the additional clothing was a Next ski jacket. Mr Fuller believed that the jacket looked too small for the owner and upon looking inside the jacket observed the usual set of labels including a charred, rectangular, 5mm label on which the following was discernible: “11/07”. The following day Mr Fuller spoke to the Next Safety Manager and asked what 11/07 meant. 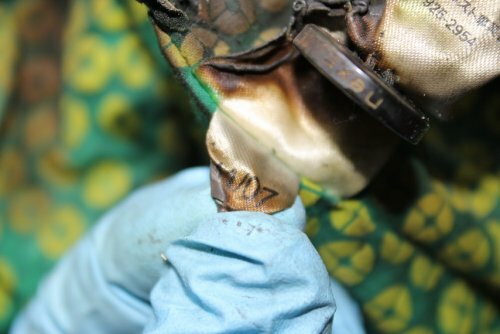 He was told that it was a “date pip” and meant that the jacket had been manufactured in November 2007, some 2 months after the fire. In fact, further research by Next showed that it was a woman’s jacket manufactured in China and not available in the UK until the launch of their spring 2008 catalogue. The details of the mediation are not in the public domain but at the end of the mediation, Mr Yeganeh signed a Discontinuance Notice. So like any good Sherlock Holmes story we will leave the reader to draw what conclusions and ending they wish from this story. However what can be stated beyond reasonable doubt is that good forensics can uncover the truth and it is still the small details that matter.